To make sure you get the best deal we'll show you great prices from all of our drivers, including RooZanj Movers KT12, if they're available on the day of your move. Have a question for RooZanj Movers KT12? No problem, send them a message and they'll email you back as soon as possible. If you have a more general question you might find it answered in the FAQ, or you always contact one of our brilliant customer service team. * RooZanj Movers KT12 won't be able to see your email address. Great guys - came with all the tools and quickly took apart a huge wooden climbing frame and reassembled at the other end. would highly recommend. Service with a smile. Only late because they had trouble parking. Thank you so much! These guys are excellent, so very fast of loading and offloading, very respectful, very careful with the items. Highly recommend! The team at RooZanj Movers are great. Arrived on time, loaded up all my stuff quickly and carefully and unloaded and arranged it all in my storage unit for me; Super friendly team - thoroughly recommend! Fast and professional, I had a great move! love this team. Super professional, super communicative and super efficient. I highly recommend them- they worked diligently throughout and were lovely to boot! I would recommend, without hesitation, the services of Roozanj Movers. I can't fault how helpful, efficient and professional the team was in helping me move. Thank you. We were very pleased with the service we received. The drivers were polite and helpful and took good care of our items. They text the day before to confirm items to be delivered. It all worked out extremely well and we would use them again . Very nice guy. Knew what he was doing. Very happy with the service! Both the driver and his colleague were very helpful and courteous. This is second time I have used this site over the last few months and it's always been great. Would definitely recommend. The driver was very helpful and all my items were handled with great care. It was a very pleasant journey and I highly recommend the driver's service. The guys were rushing all the time saying that today is a busy day. I booked for 3 hours so they should be available for those 3 hours. They should be more careful handling the packages as some of them fell on the floor. The driver was a nice guy but the overall service was bad. We did everything in 1:30 (whit 45m driving) but he still asked me for all the money for the 3 hours. This is regarding the customer complaint, Armando Moreira. We attended the job on time.As we always work with two men, we loaded everything very quickly. We use blankets and straps every time and we did not damage any customer belongings. We put every item where the customer wanted, then the customer asked me to give him a discount because we finished in one hour and a half. I replied that with the two men we can do the jobs quicker. I completely agree with the customer if we damage their belongings, but we did not. We finished the job as normal. Driver was really respectful and punctual. Helped me with my items. The only thing is that the cabin wasn't too tidy, so they could try keeping it clean for even better experience. Moved items from my garage to inside of house, I couldn’t fault the team. Great hardworking team. Finished furniture move ahead of time. I would use them again, as their price was competitive. I could suggest that they carry slip on nylon covers for their shoes but they were understanding and did take shoes off before going on new carpets. Really cool guys, super helpful, fast, simply professional Thank you! Driver was very helpful and professional. Would definitely use this service again. Thank you. Good service and went the extra mile. Very efficient, friendly and helpful! Will def recommend and use again! Everything has gone perfect. They arrived on time, very kind and helpful. They did a quick and good job. Driver was late but more than made up for it with the service we recieved. Very nice guys. Nothing was a problem. Very helpful. We only booked one man, but two showed up and they were super speedy and very polite and courteous. They phoned in advance to let me know they were stuck in traffic. Would definitely use again. Hard working and efficient would definitely use again! Driver was absolutely brilliant. Really helpful, respectful would definitely recommend. Couldn't have been happier!! The guys were so friendly, quick and helpful. i was supposed to pay 32.29 cash after moving, but i forgot the price so i asked is it 33 pounds and they said yes. I don't mind paying a few pennies more, but I am surprised that the driver doesn't know the price. He was very helpful, efficient and polite. Would certainly recommend him. Drivers have to deal with people moving in different emotional circumstances. Mine was a bit awkward for me and I felt encouraged by the relaxed no problem attitude and adaptability my driver and his companion showed. They were fine but could have been more careful with our things and taken time. We felt very rushed. We paid for 2 hours abd they were for after 70 minutes. The driver was really friendly and helpful, he did most of the job and we had a nice chat. He called me the evening before the moving to confirm and he did a check back to make sure that everything was going alright. Strongly recommend this guy and his professionalism. Really good, really fast. Will definitely use again. Driver was very efficient and helpful. On time, helped with the load and finished way before time. Service with a big smile. Highly recommended! The driver was 1 hour and 20 minutes late - arriving at 18.20pm instead of the arrival time of 17.00. I phoned CompareTheMan&Van to see if I could change the driver to one which would arrive earlier, but none were available. The phone operator said that I would be able to get a discount on the price that I paid? How do I go about doing this? Roshan was brilliant - plenty of communication, incredibly polite and helpful. I would highly recommend. Great team, nothing too much trouble. Jay is very helpful and efficient! We are very happy with the move. Would recommend to our friends! Thank you. Whole thing went smoothly. The driver was a pleasure to deal with. Efficient, helpful, polite - great move. Great driver. Jay was very helpful and friendly. He got the job done in good time. I wouldn't hesitate to recommend. Jay was outstanding. I wasn’t particularly well and he insisted that I didn’t lift a single heavy item. You never forget kindness like that. A superb job would happily use again! I had a medium van load to go from London to Manchester. 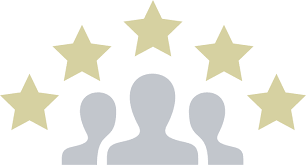 Driver was punctual, pleasant and helpful and did an excellent job. Jay was absolutely fantastic! Very quick, efficient and funny. It felt like moving with a mate, would definitely recommend ! Very nice and professional gentleman. We were extremely happy with the service and help that RooZanj Movers provided - couldn't have done it without him! He was courteous, on time, quick, hard working and did not complain that we were later finishing than the planned time. However, he was using his phone whilst driving (responding to quotes via text and checking Google maps), and not always looking at the road. So quick and easy we were moved in after 45mins!! Really helpful guy and hasslefree. Jay was excellent, very professional and efficient plus great value! Jay was excellent - so helpful and friendly! A very quick move, the driver was helping a lot. Stress-free move and I will use them again if anything else needs moving. Very lovely ride. Driver was talkative which made the road shorter. The only thing that I didn’t like was the driver saying that they will stay in contact because they had my number, I personally feel it’s best not to. Overall it was a very good trip. Fantastic service, couldn’t fault it. Really good guys! Great service and friendly, would definitely recommend. Very professional! Super fast and helpful !!! Really nice chap - although he was a bit late he got everything done really very quickly. He was nice to chat to on the drive and he knew what he was on about. I was paying for this van so that one of our lodgers could move her belongings after a fire at our house. the lodger travelled with the driver but I did not. The driver took a route through the congestion charge zone and asked her for cash for this after the trip. The email I received from you said that CC fee would only be payable for trips either starting or ending in the CC zone. It was inconvenient because I was not aware up front that he would charge so didn't have a chance to give our lodger money to pay for it. So she was in an awkward position. The driver tried to phone me but I was at a train station so couldn't hear him or do much to help. Excellent service, would definitely use again and recommend. Great! On time, hands on and even did extra run for us! Thank you!! Would recommend. The service was great and the guys worked very hard to move our items safely and quickly. My reservation was changed the night before and the guys turned up early on a Sunday morning. Would definitely use them again. The original driver didn’t turn up so I was 45 mins late new driver was ok though. After your original driver reported that he would be unable to complete your booking, we are happy that we were able to supply you with replacement service so you were not let down for your move. The move only took 1 hour total. I believe I paid for 2. It is clear when you book that we do have a minimum 2 hour booking time on the website. Friendly, chatty driver who obviously knew what he was doing when shifting and transporting heavy goods. Would definitely use your company again, ask for the same driver if possible, and recommend to others. Fuss-free move of a heavy washer/drier! I was really pleased with this removals team. They did a great job with my stuff and were so friendly, respectful and understanding. They went above and beyond when the storage unit's lift was broken - doing twice the trips originally planned and offering to come back if the repair not completed on time. As it was, we were done exactly within the booked time (they worked 10 minutes longer as they had been 10 minutes late - which was no problem). They secured my stuff really carefully and made sure I was happy before setting off. They were especially careful with things I pointed out as fragile and were good natured throughout. Although the driver did not arrive on time this was due to traffic (beyond control) and I received a phone call ahead of time to notify me. Overall, not a problem for me. The move was fast and efficient so was completed within the original time planned anyway. Jay was great - really helpful! I would recommend this service to anyone looking to move in the future and would use again myself. Stress free and good value for money. Great service, very friendly and efficient. Expert mover. Would highly recommend him! Very quick and easy move, very helpful driver. I would like the driver to be more careful with my items, he unintentionally broke one of them due to rushing.